In honor of Black Friday, here’s my aconsumerism post Conquering IKEA. Enjoy! And remember kids, you save even more when you don’t buy anything at all! My college apartment was amazing. Over the course of my three years there I furnished and decorated the whole place, floor to ceiling, with stuff from IKEA. I had couches, tables, chairs, curtains, bookshelves, framed art. The works. I have no idea how much money I spent at IKEA, but it must have been a lot. I remember giving myself a $100 budget every time I went to IKEA and I went often. Last summer, hanging around the Bay Area, I paid my first visit to IKEA in many years. I didn’t set myself a $100 budget, but I did intend to buy something, something cute and useful to go in the Teardrop, for old time’s sake. I spent all afternoon walking around that store and didn’t find a single thing. When you live in a 5X10 foot trailer, whole sections of consumer culture no longer apply. Furniture? Nah. My bed and table are built-in and I have a nice folding camp chair with two cup holders. Kitchen supplies? I have everything I need, except for a grapefruit spoon, which IKEA didn’t have. Lighting? LED lights are built into the Teardrop. Carpet? I already have a carpet, which velcros in and out for easy cleaning. No vacuum necessary. Bedding? I sleep in my sleeping bag. Framed art? I make my own art. On and on. I walked around and around, looking at everything, in full nostaligia-mode, finding many things I used to own. But I didn’t find anything I needed. Moreover, I didn’t find anything I wanted. I have no place in my life for any of that stuff. I spent $3.50 on a hot dog and soda for my date and an ice cream cone for myself and walked out of IKEA empty handed. After over 20,000 miles on the open road in the Teardrop, I’ve never felt so free. 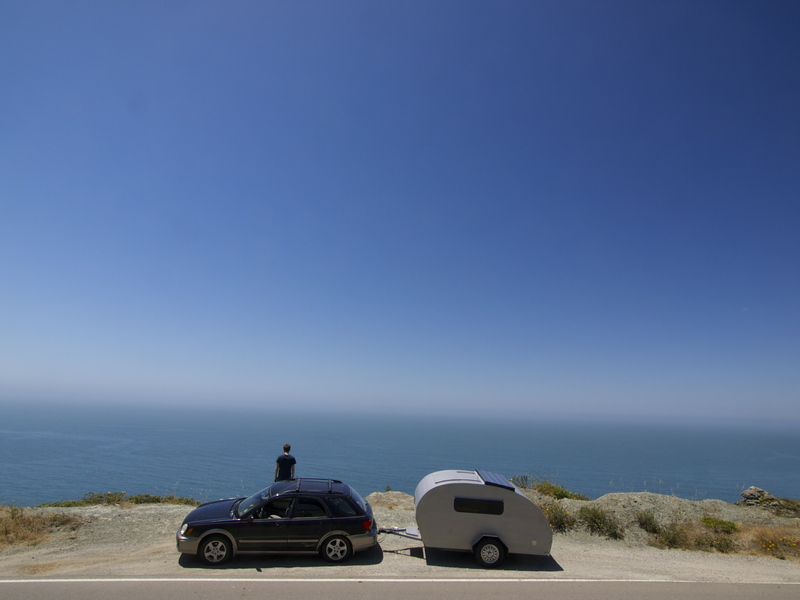 This entry was posted in Road tripping!, Sustainable Living, Teardrop Trailer, Uncategorized, Vagabonding 101 and tagged Black Friday, consumerism, IKEA. Bookmark the permalink. The title says it all, you nailed it! If only more people felt this way it could save both the planet and their futures. Less is more never so well put. I love this post. I don’t do much shopping these days, but my Bed, Bath, and Beyond was your IKEA. I used to spend a fortune in that store. Now, sometimes I will go in and walk the aisles, just to relish in the feeling that I don’t need or want ANY of that stuff anymore! I will often say under my breath, “It feels so good to not want all this stuff!” It’s such a “quick hit” to reinforce freedom from the bonds of consumer marketing! From The Blonde Coyote’s blog…..
I’m feeling the same way. No room for and don’t need anything more in the small apartment when we’re in town or the Pony (pop-up) when we’re on the road. Sometimes I’m tempted to buy a new article of clothing, but realize I don’t need more clothes, either. In fact, I’d start getting rid of stuff if this little town had a second-hand store. Black Friday was spent cleaning out the old garage today. Found lots of gems in there, things I have been looking for. I knew I stashed them somewhere! Those solar panels look interesting. I would like to get some on the garage at some point. I love this post and envy your lifestyle a great deal. At 65, I go into bookstores, yarn and fabrics stores, etc., and find I have all the books, yarn and fabric I could possible use for the rest of my life. These, fortunately, are consumable items. As soon as I read the books and make something with the yarn and fabric, I can give them away. My burden of these things hopefully will all be gone so my daughter doesn’t have to deal with them. Best inheritance ever! When my mother asked on Thanksgiving what we were doing for Xmas my reply was I wish we weren’t doing anything because none of us needs more stuff. Alas I was not victorious but we did keep the 25$ limit so it’s “just for fun”. She wanted to increase it to 50$ each for the 6 of us and our two adult children are both between jobs. Gulp! Love this! You’re an inspiration. 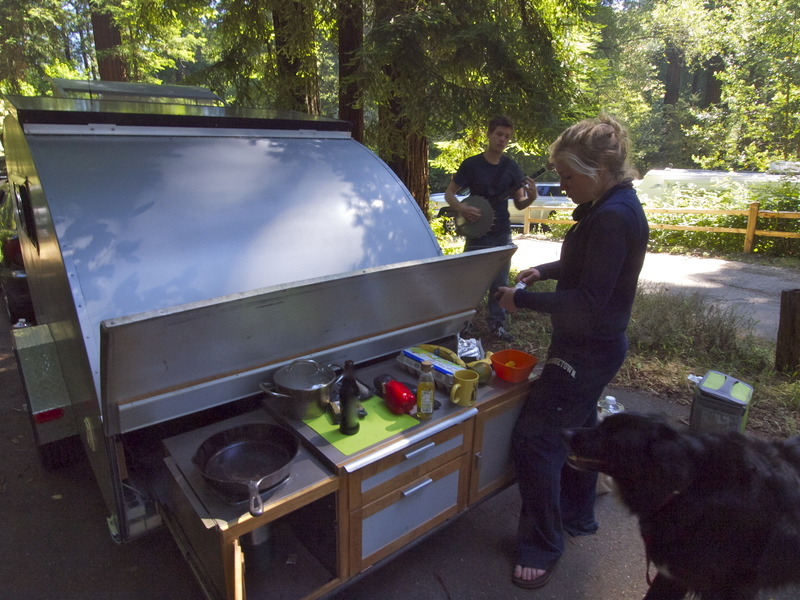 you’ve inspired me to plan a teardrop into my future for long distance road trips!